It’s so pretty! I love this cover and love the story. It’s due everywhere on August 17th, ebook, and print. Now, will it happen then? Fingers crossed because it’s a little like a wedding. No one has fun unless something goes wrong. I’ve had the best time writing and researching this story. So much so that I’ve fallen in love with Canada and Nova Scotia. It’s a beautiful place and such fun, even in winter. Readers can pre-order Betrayal, Impatience, and Pleasures ebooks everywhere but Amazon. Don’t worry, Kindle users. Amazon will have these books on the 17, 23, and 30th. in case anyone is wondering, I still have plans for the American west, one more Man to publish, and a whole world of love planned in Love’s Travels. No one is going to be left out, and I’m adding in science fiction next year. I’m a versatile, multi-faceted author (read: ADD, lol!) I love ALL the genres. Now, on to finish writing Pleasures. Still not going to panic at its release day of August 30. 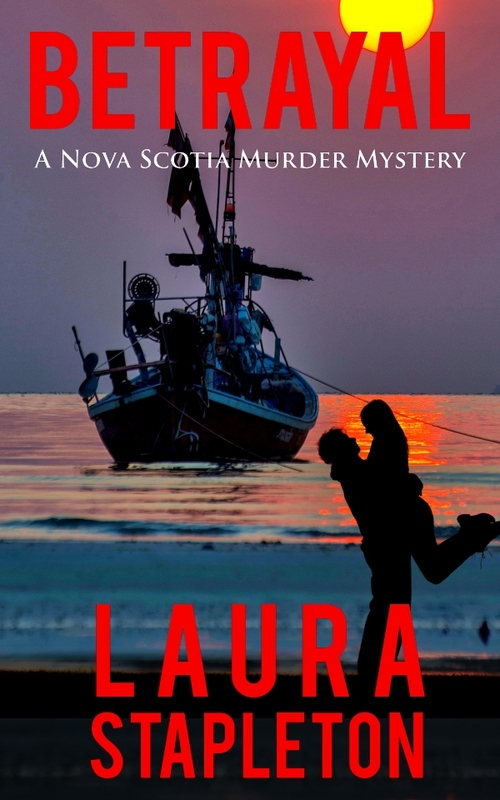 This entry was posted in Book Covers, New Release!, Nova Scotia Murder Mysteries and tagged Betrayal, Canada, new book, Nova Scotia, Nova Scotia Murder Mysteries on August 16, 2016 by lauralstapleton.